NetScaler VPX on Cisco Nexus 1110 at Cisco Live! What I’ve enjoyed about Citrix’s relationship with Cisco is the substance that backs it, especially with regard to product integrations. These integrations have given us the opportunity to work with some of the brightest folks on the Cisco team and identify new and creative solutions to challenging problems. The result is a product roadmap that has exciting developments with technology that “moves the needle” as they say in Silicon Valley. Today I’m excited to announce the first part of this roadmap: The NetScaler VPX Application Delivery Controller (ADC) is running on the Nexus 1110 Cloud Services Platform. You can see a live demo of this at Cisco Live! in London at booth #G18 of the World of Solutions Expo. 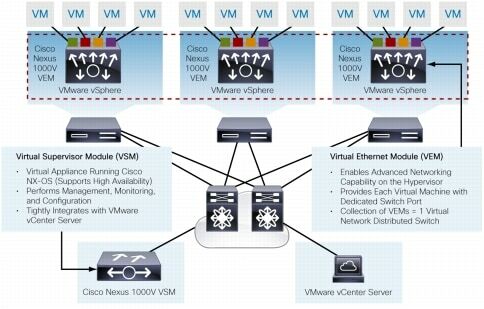 All the great product details can be found over at Cisco’s blog. As a key link between the Cisco Nexus L2/L3 switching fabric and the next generation of software based infrastructure such as the NetScaler, the Nexus 1110 is a key part of the solution increasingly found in the datacenter. As the role of software becomes more significant, strategic integrations like this are what will enable enterprises to transition to a software defined network in an orderly manner. With the foundation of NetScaler on Nexus in place, we can now look at how our respective footprints can be leveraged to achieve even tighter integrations (and corresponding value) to make the network even more seamless. Our roadmap for enabling the promise of the virtual datacenter is truly exciting.